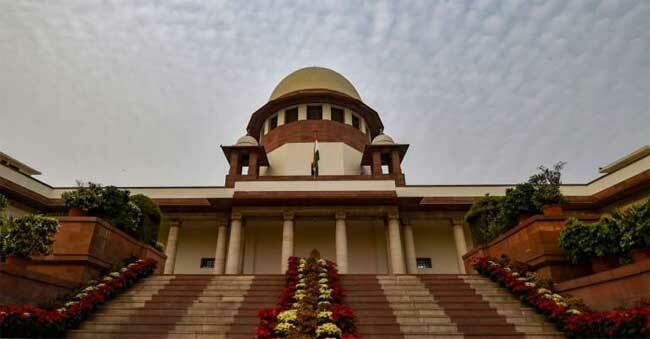 New Delhi, Mar 18 (PTI) The Supreme Court has said that acid attack is an "uncivilised and heartless crime" which does not deserve any clemency. "Indeed, it cannot be ruled out that in the present case the victim had suffered an uncivilised and heartless crime committed by the respondents (two convicts) and there is no room for leniency which can be conceived," a bench of Justices A M Khanwilkar and Ajay Rastogi said. The bench further said, "A crime of this nature does not deserve any kind of clemency. This court cannot be oblivious of the situation that the victim must have suffered an emotional distress which cannot be compensated either by sentencing the accused or by grant of any compensation." Later, the convicts approached the high court against the lower court's verdict. The apex court, in its verdict, noted that the girl had suffered 16 per cent burn injury "which was caused due to acid attack on the darkest day of her life". The top court was informed that both the convicts had undergone the sentence and deposited the fine as per the high court's judgement and they were released from jail on December 9 last year. The bench, which said the high court's verdict convicting both the persons needed no interference, asked them to pay additional compensation of Rs 1.5 lakh each to the victim.